12:25 PM PT -- A rep for Ronnie says he was at TAO when a fight broke out. He wasn't involved, but it got outta control ... and he was attempting to cover his gf when someone threw a bottle or glass. We're told it shattered on Ronnie's hand, and that's the reason for all the blood ... on both of them. TAO has a slightly different version of events -- its rep says no one else was involved in the incident, and claims Ronnie simply broke a bottle he was holding. The club also says an on-site EMT treated Ronnie. 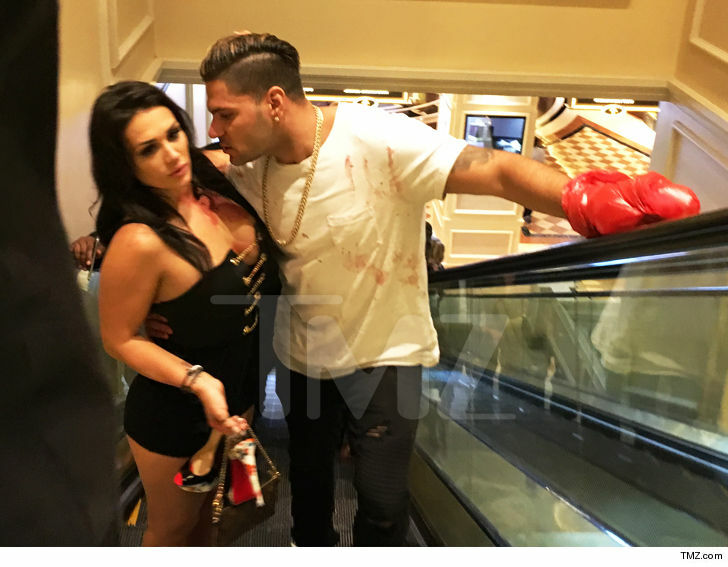 We'd say no blood, no foul but ... Ronnie from "Jersey Shore" had some kind of bloody encounter in Vegas early Friday morning, and his girlfriend was clearly none too pleased. An eyewitness who took this photo tells TMZ he saw Ronnie and the woman at around 1:15 AM coming out of a bathroom at The Venetian hotel and casino. He says Ronnie was soaked in blood with a plastic bag wrapped around his left hand. 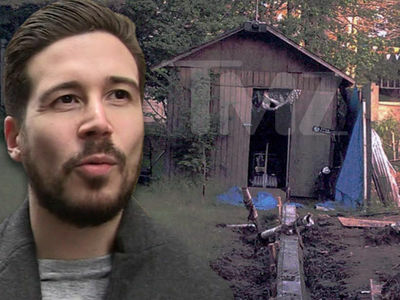 The woman was also covered in blood, although the eyewitness says it appeared to him the blood was not the result of a fight between the 2 of them. It also seemed she was uninjured. We're told security was flanking Ronnie and escorted him to an exit. It's unclear if security was trying to protect him or throw him out of the hotel. We reached out to Ronnie and his rep ... so far no word back.